For more details on this topic, see History of Silesia. The Silesian Uprisings (German: Aufstände in Oberschlesien; Polish: Powstania śląskie) were a series of three armed uprisings of the Poles and Polish Silesians of Upper Silesia, from 1919 to 1921, against German rule; the resistance hoped to break away from Germany in order to join the Second Polish Republic, which had been established in the wake of World War I. In the latter-day history of Poland after World War II, the insurrections were celebrated as centrepieces of national pride. The right to vote was granted to all aged 20 and older who either had been born in or lived in the plebiscite area. A result was the mass migration of both Germans and Poles. The German newcomers accounted for 179,910; the Polish newcomers numbering over 10,000. Without these "new voters", the pro-German vote would have a majority of 58,336 instead the final 228,246. 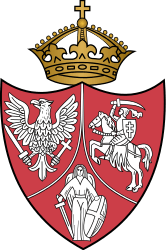 The plebiscite took place as arranged on March 20, two days after the signing of the Treaty of Riga, which ended the Polish–Soviet War of 1919/1920. A total of 707,605 votes were cast for Germany, while 479,359 for Poland. 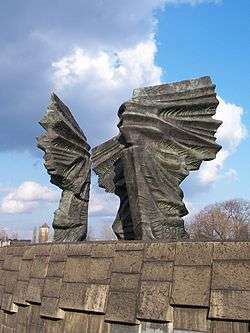 The violence eventually led on August 19 to a Polish uprising, which quickly took control of government offices in the districts of Kattowitz (Katowice), Pless (Pszczyna), Beuthen (Bytom). Between August 20 and 25, the rebellion spread to Konigshutte (Chorzów), Tarnowitz (Tarnowskie Góry), Rybnik, Lublinitz (Lubliniec) and Gross Strehlitz (Strzelce Opolskie). The Allied Commission declared its intention to restore order but internal differences kept anything from being done. British representatives held the French responsible for the easy spread of the uprising through the eastern region. 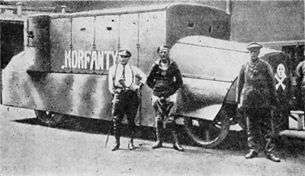 Twelve days after the outbreak of the insurrection, Korfanty offered to take his troops behind a line of demarcation (the "Korfanty Line"), conditional on the released territory not being re-occupied by German forces, but by Allied troops. It was not, however, until July 1 that the British troops arrived in Upper Silesia and began to advance in company with those of the other Allies towards the former frontier. Simultaneously with this advance the 'Inter-Allied Commission' pronounced a general amnesty for the illegal actions committed during the insurrection, with the exception of acts of revenge and cruelty. The German Grenzschutz was withdrawn and disbanded. In May 1922, the League of Nations issued the Upper Silesian Convention (also known as the Geneva Convention) intended to preserve the economic unity of the area. The League also set up a tribunal to arbitrate disputes. Furthermore, in response to a German complaint about the importance of Silesian coal for the German industry, Germany was given the right to import 500,000 tons per year at discounted prices. Three years down the road, in 1925, when the coal agreement ended, Germany refused to import the coal, attempting to use the coal issue as a lever against Poland, trying to impose a revision of the whole Polish-German frontier. Polish-German relations worsened, as Germany also began a tariff war with Poland, but the Polish government would not yield on the border issue. ↑ MacMillan, Margaret (2001). Paris 1919. Random House. p. 219. ISBN 0-375-50826-0. 1 2 Watt, Richard (1979). Bitter Glory: Poland and its Fate. Barnes and Noble. ISBN 0-7607-0997-1. ↑ Gajda, Patricia A. (1982). PostScript to Victory: British Policy and the German-Polish Borderlands 1919-1925. University Press of America. p. 69. ISBN 0-8191-2204-1. ↑ Książek, Mirosława (1 January 2009). "Wilusiowi stuknie 105 lat!" (in Polish). Retrieved 23 October 2010. ↑ "Odszedł najstarszy Ślązak" (in Polish). Nowiny: Dziennik Zachodni. 10 June 2009. Retrieved 23 October 2010. "Wilhelm Meisel do końca cieszył się życiem, bardzo lubił towarzystwo, muzykę oraz ruch. Interesował się tym, co dzieje się w Polsce i na świecie."